With the new Star Wars film just around the corner, we thought we'd celebrate this year's official Star Wars Day by presenting you with the top six Star Wars film set locations from around the world. And don't worry, purists, we've stuck to the original trilogy. None of us liked Jar Jar Binks either. Let's start with arguably the coolest land battle in the entire series, the Battle of Hoth. An overwhelmingly depressing victory for the Galactic Empire and a crushing defeat for the Rebel Alliance; the latter relied on speed and savvy to take on the heavily armed Empire. Unfortunately, the hit and run tactics were no match for the AT-AT Walkers, which are basically awesome. So where can you go to avenge this injustice (in your mind at least)? 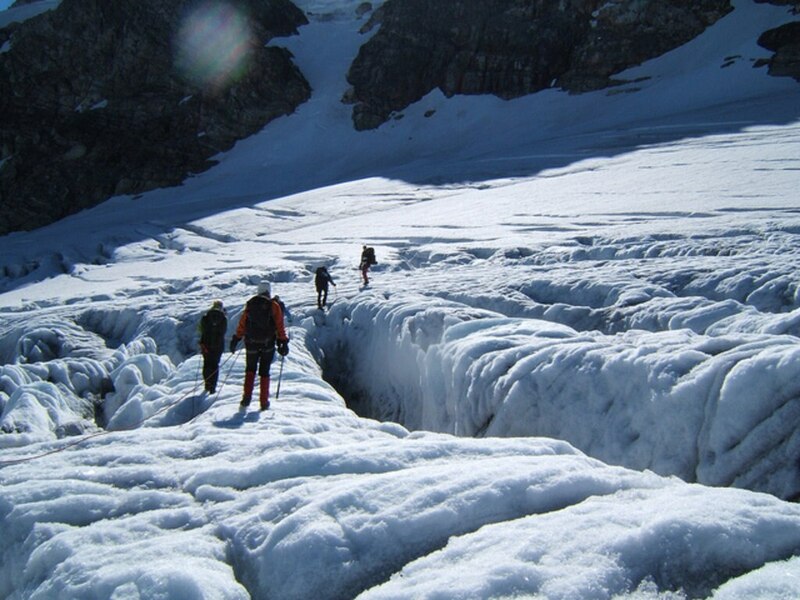 The scene was actually filmed at the Hardangerjøkulen Glacier in Norway. Although not quite as intergalactic as the planet of Hoth, the 16 kilometre ice sheet does have a rather alien quality to it. Oh, and those thick uniforms those Rebel fighters wore? Not just for show. It is cold up there, so if you intend to hike it, dress appropriately. The glacier can be found in the Ulvik municipality, and can be accessed from the village of Frise, which in turn can be reached pretty easily from the area's other settlements. The home of the grim sarlacc and location for Jabba the Hutt's cruel executions on Tatooine; stop me if I'm wrong, but surely the Great Pit of Carkoon and its resident must have inspired the entire (and equally as cool) Tremors film series, right? So that's a double whammy (as dubious as that second link might be) of awesomeness right there, making Buttercup Valley a must for any sci-fi fan. 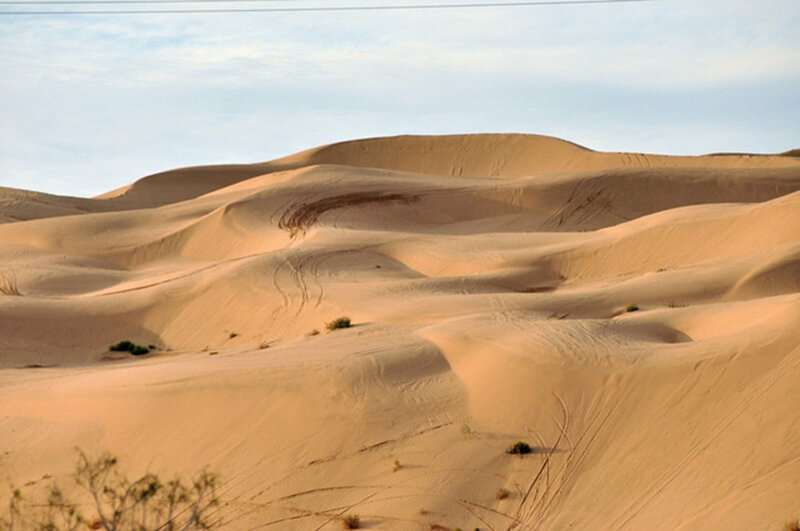 You can reach Buttercup Valley easily from the city of Yuma in Arizona, which, for a little added bonus, is where Jabba's Sail Barge scenes were shot. Probably the most badass of all the intergalactic bars, Chalmun's Cantina was the favoured haunt of the ne'er-do-wells, nomads and freight pilots from across the Star Wars galaxy. It's where we're first introduced to Han Solo and Chewbacca. It's also where Ponda Baba was maimed by a lightsaber wielding Kenobi for picking a fight with Luke Skywalker - intergalactic me would not last a minute there. While the interior of the bar was filmed at London's Elstree Studios, you'll find the Cantina's exotic and sun-drenched exterior on the Island of Djerba, just off the coast of Tunisia. Seek out Ajim, where you can also find the scene of Obi-Wan Kenobi's house. Pretty cool. Endor was played scene to the land portion of the final, climactic clash of the original trilogy. It was during the Battle of Endor that we saw an alliance of Rebel Fighters and little fury Ewoks overrun the Imperial positions and destroy the shield generator, rendering the Death Star vulnerable; all this leading to the death of Darth Vader and the Emperor, and the beginning of the demise of the Empire. 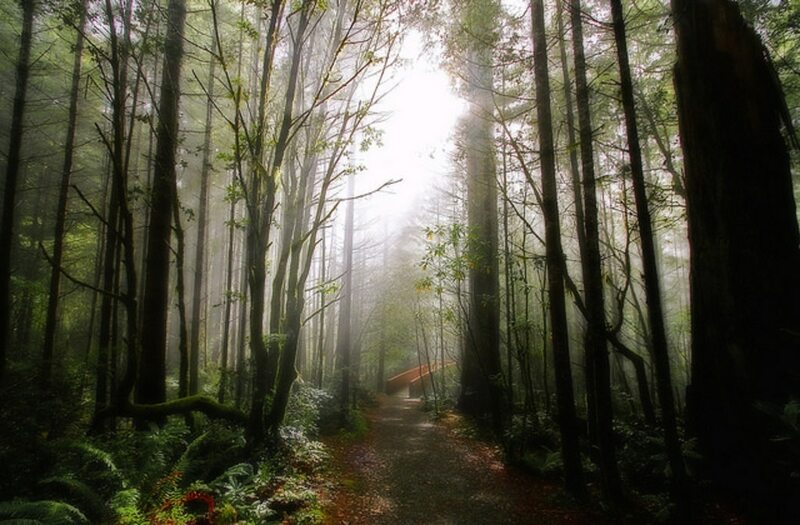 To check out the real-life Endor, visit the majestic Redwood National Park in northern California. Any Star Wars fan will instantly recognise the towering, lush trees and celestial fog. We don't recommend trying to recreate the colliding log scene - that can only go wrong. The home of new hope; the Rebel Alliance's base, set up in the ancient Massassi ruins on Yavin 4, is a fittingly stark opposite to the Imperial's mechanical monstrosities. A symbol of cultural freedom, it's hard not to draw comparisons to the Imperial forces' marauding in the film and the fate of ancient civilizations in real life, which were consumed during the European colonisation of the Americas between the 1500's and 1800's. 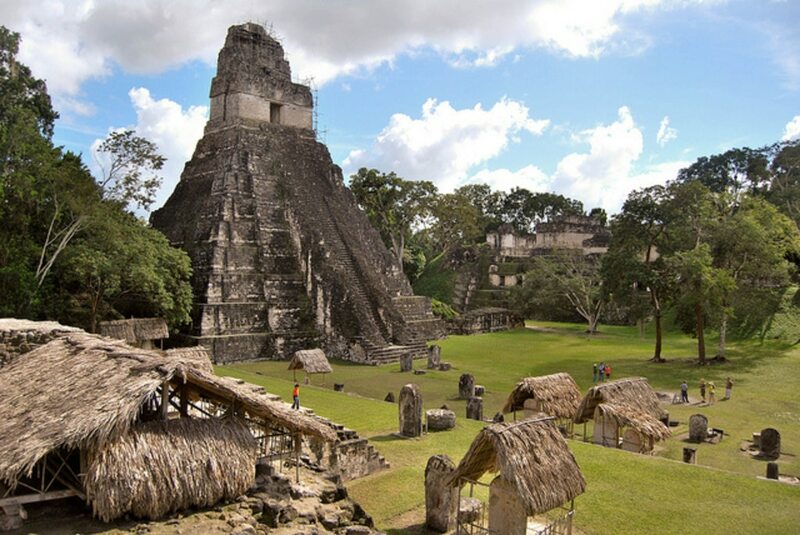 The scenes for the Yavin 4 base were filmed at Tikal, an ancient city in the rainforests of Guatemala. With its age old temple that rises an incredible 47 metres into the air, it's an impressive site in-and-of-itself. Add in the significance to the film, and it becomes an absolute must-see for any Star Wars nut. OK, so this didn't actually feature the film. Meh, we don't care, we're including it anyway because it really should have been. 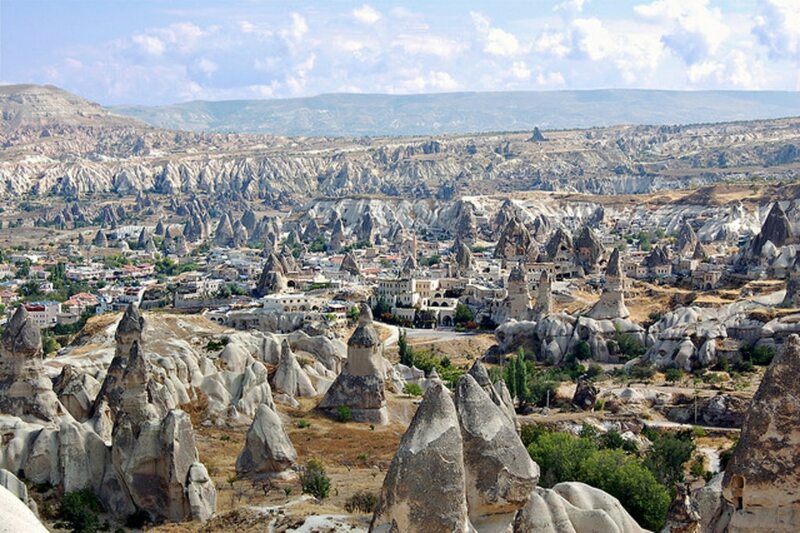 Cappadocia's desert-like landscape, complete with houses, shops and other 'buildings' carved straight out of the cliffs and mountains, looks so incredibly other-worldly it could have come straight from the Star Wars universe. Take a tour on a hot air balloon so you get to see the place from above. I know, a hot air balloon is hardly as futuristic as an X-Wing, but at least you're flying. Let's hope they feature this spot in one of the new films, because, quite frankly, it needs to be there. 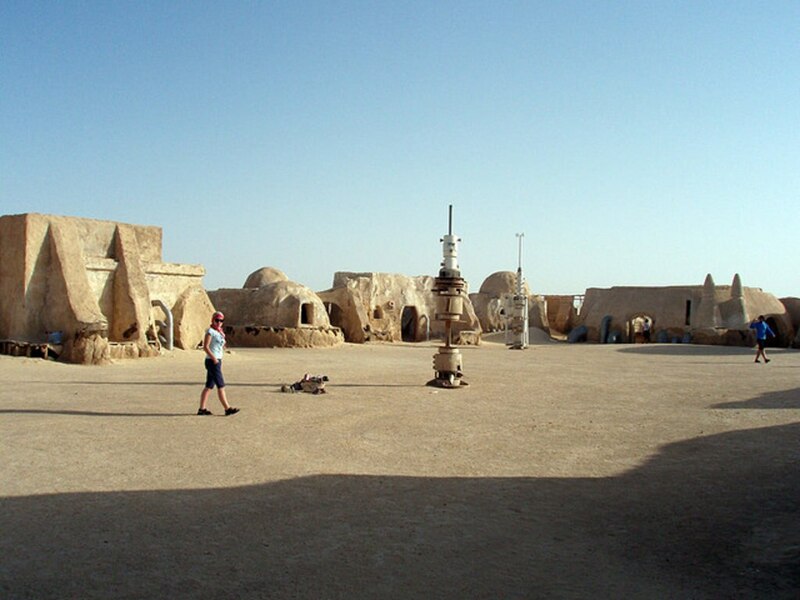 For a more in depth guide to all the Star Wars locations, visit Star Wars Locations. Thanks to maittur, John (little time), glennia, alex and mac, Zhu and Nick Wadge for the excellent photos, coming to you via Flickr. Please note, all were under Creative Commons license at time of publishing.